The distressed traveler Charlotte Cameron encounters on a rainy Scottish night is absolutely the worst man she could have invited into her carriage! It is Phillip Maddox, the reprehensible Duke of Colster, who brought the full weight of the ton's fury down upon her—simply because Charlotte encouraged her sister not to wed the powerful peer. And now the seductive devil responsible for her social ruin is sitting close enough to kiss . . .Phillip's distaste for the meddlesome beauty matches Charlotte's—though, under alternate circumstances, he might have enjoyed sampling the sensuous charms of the tempting young chit.There is grave danger, however, on the journey they now must reluctantly share—and a nemesis who means them both mortal harm. But can a passion that inconveniently ignites in the face of disaster erase a painful past . . . and lead two sworn enemies to a most unanticipated destination: the bedchamber? Charlotte Cameron, heads up to Scotland, to visit Laird McKenna, whom if she marries him is a way to repair the damage done to her family by letting her sister marry the man that she loved. After her and her sisters came to England, she convinced her sister (whom after being practically engaged to a peer) to marry a man she had loved for many years. So Charlotte, knowing that she and her sisters might be shunned from society, decided that the happiness of her sister was more important. 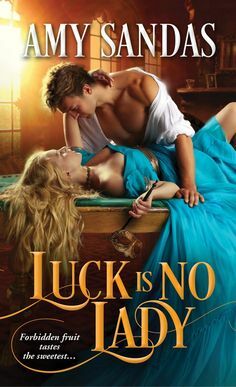 Now traveling up to Scotland and in hopes of marrying this Laird, is the only way to fix what has been wrought, until Phillip Maddox ends up in the carriage with her. Phillip is still furious at having been dumped by a Cameron, can hardly believe he is in the same carriage as Charlotte. But then a spark of desire flares up between them through a sensual embrace, and all his bitter feelings go flying through the roof at this one kiss from Charlotte and he knows that she will be his destiny. Phillip, Duke of Colster, has always done what was expected of him and followed the rules as expected of a Duke of the realm. However when he learns that he has a twin brother, he starts to head up to Scotland to find him and the truth of why his identity was withheld from him all of these years, what he didn’t expect was to end up in the same carriage as the one sister of the Camerons that made him a embarrasment among the Ton. However the moment he kissed her, he knew things would change between them from disaster to pure bliss. After living in the colonies, and having to suffer through indian raids, one having killed her family apart from her two sisters, they decided to make a new life for themselves in England. Now she is forced to marry a man because of respectability and for the sake of her younger sister. 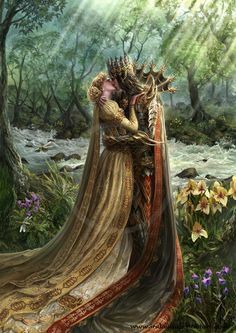 But when the Duke of Colster ends up in her carriage, she knows that he is temptation itself, despite how much she hates what has happened because of him, she can’t deny the passion he brings out in her. In The Bed Of A Duke is the second installment of the Cameron Sisters by Cathy Maxwell. I have read this series before but its been a couple of years, so I thought I would re read them again, but I have always loved In The Bed Of A Duke, I loved how the story flows from two people hating one another, then turning into them falling in love. There is also a mystery and dangerous side to the story that will keep the reader on their toes, and fully engaged throughout the whole of the story. There was also such a emotional side to the story as well, that will pull at your heartstrings. In The Bed Of A Duke is a delicious read!!!! Colster pounded on the roof. “Driver, stop this coach immediately!” But his order must have gotten lost in the sound of the wind and rain, for no one responded. All the anger she’d been carrying inside, the indignation, fear, and humiliation, rose to the surface. He didn’t want to be in the same coach with her? She didn’t want to ride with him!